JUST REDUCED!! FREE SHIPPING!! DUAL BAND!! DUAL SPEAKER!! DUAL OUTPUT!! CROSS-BAND REPEATER!! 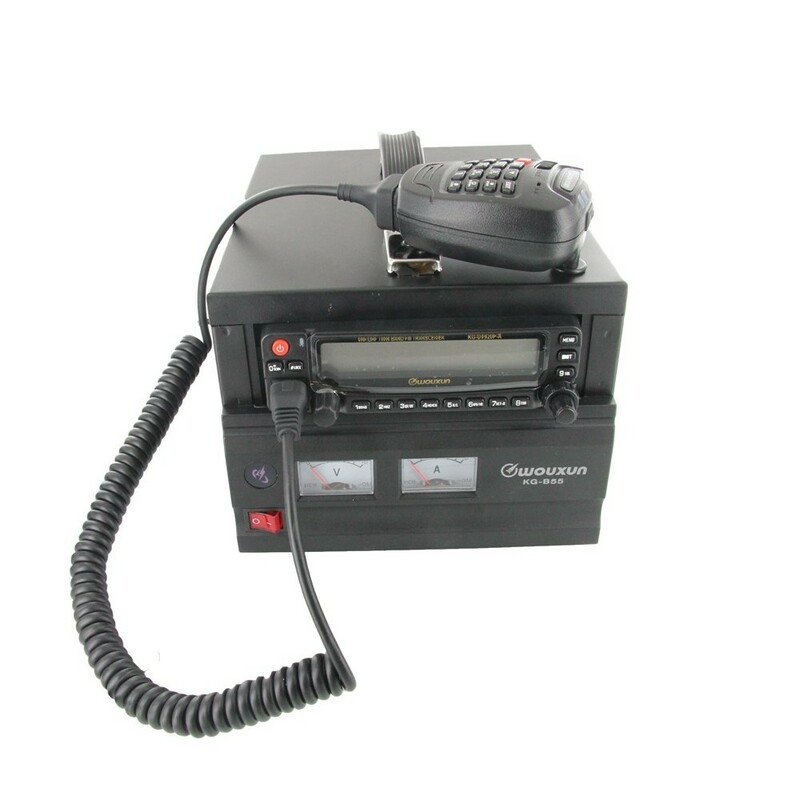 The KG-B55 features the powerful KG-UV920P-A dual band two way radio with its 999 programmable memory channels and twin band simultaneous reception. Select wide or narrow bandwidth at the press of a button and freely set bands on the same channel for VHF TX-UHF RX or UHF TX-VHF RX. It's power selectable as well. Choose from high, medium or low power options according your needs. Want more than just a base station? How about a cross-band repeater? With the KG-UV920P-A installed, the KG-B55 is a full duplex cross-band and cross-band mobile repeater with five repeater settings - normal radio mode, directional cross-band repeater mode, two way cross band repeater mode, repeater receiving mode (receiver) or repeater transmitting mode (transmitter). You can even connect two units together to set up your own working repeater. Other features include a 76-108Mhz FM radio, 1750Hz burst tone, group calls, 8 group scrambler, low voltage voice prompt, channel Name edit and display, stun and kill function, reduced noise settings, remote control setting and a built-in cooling fan. The KG-UV920P-A makes the KG-B55 base station even better with its large, dual frequency LCD display and a 3-color selectable backlight, handheld speaker mic with full featured backlit keypad, dual speakers built into the radio chassis and voice prompts to assist with menu navigation. 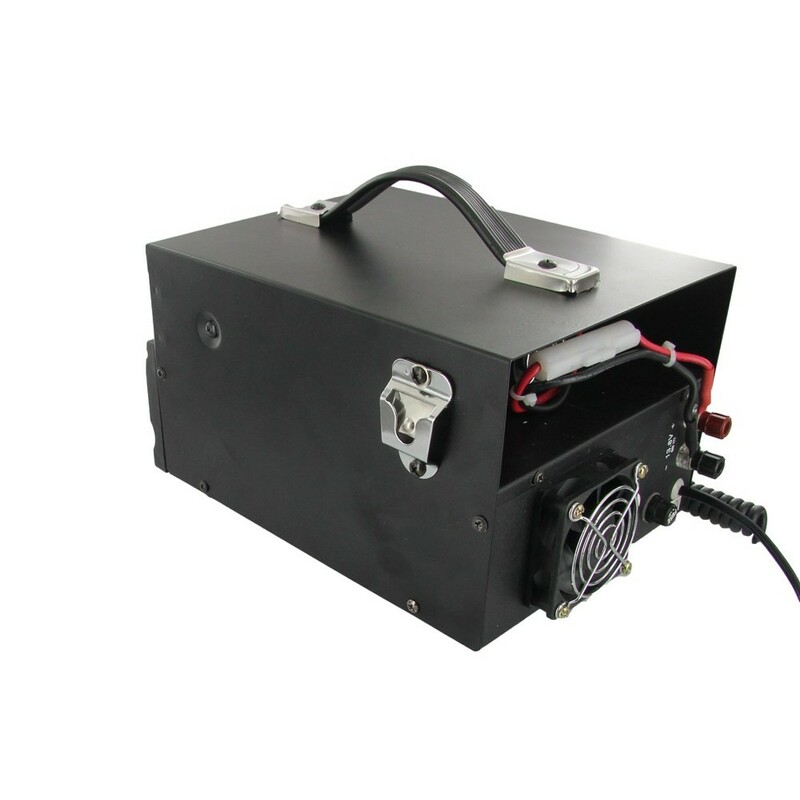 The KG-B55 is powered by a power supply that is built into the unit to deliver a constant 13.8V to the radio. The power supply features two analog meters, one for for volts and one for amps.tion! 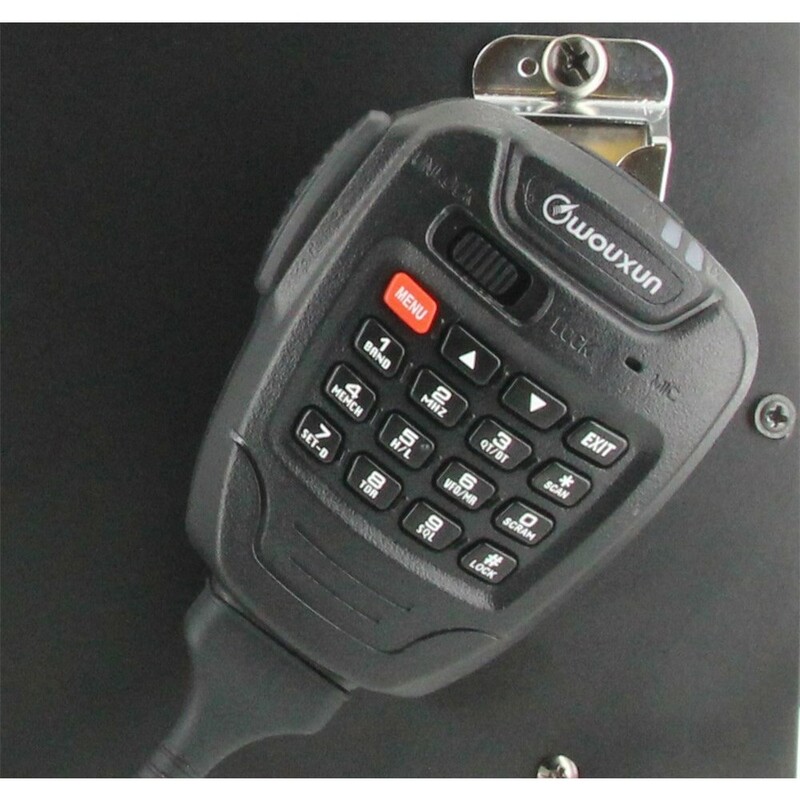 The Wouxun KG-B55 comes with hand microphone with speaker, an owner's manual and a one year manufacturer warranty from Wouxun. I am the ARES Emergency Coordinator for my county and this unit is great for use in the field as well as at a home location. 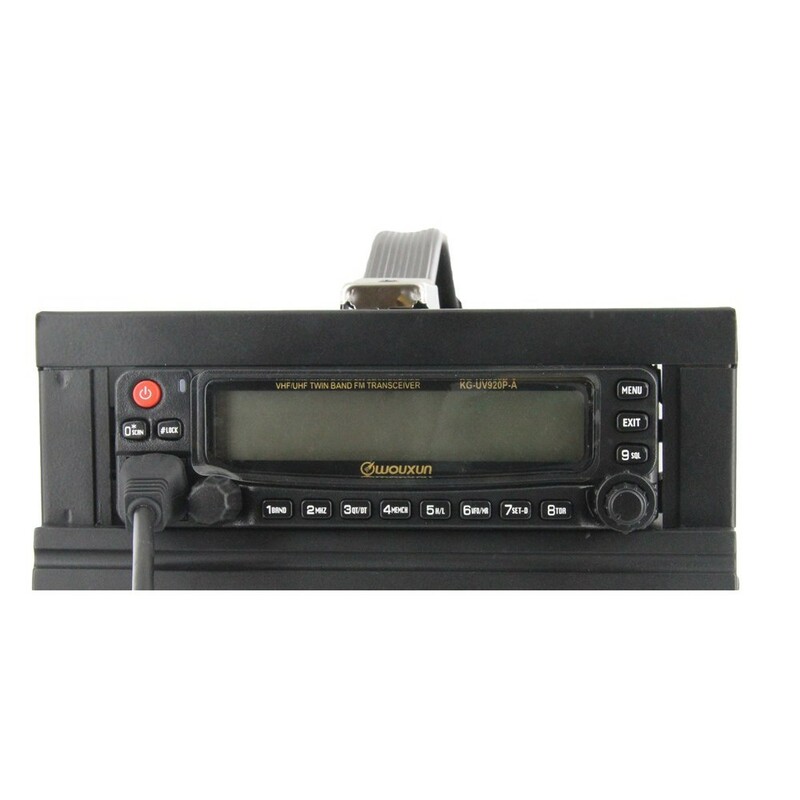 The digital port is located on the side of the radio, so in-order to use programming software or digital operation you would have to remove the radio from the case. I installed an access port in the case to use the digital port. (see photo). At the same time I moved the radio forward just a little to give better access to the front panel controls. 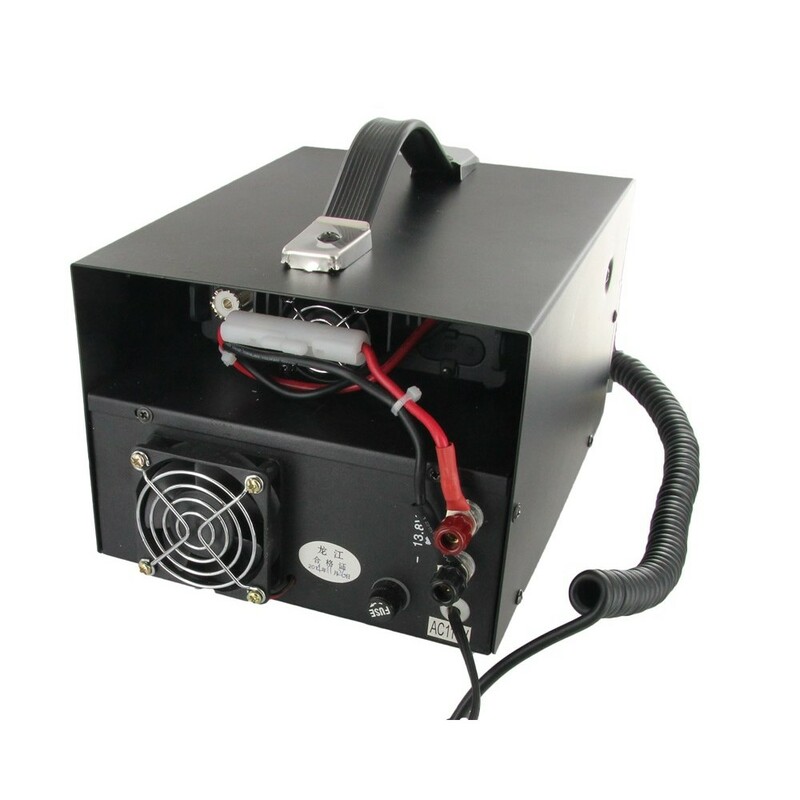 If you extended the case height just a little, you could install another radio and with the proper cable you would have a fully functional-portable 50 watt repeater. Well the concept is good. All in one package small base station. But the item comes just as pictured. Other packages come with the angled faceplate, mounting brackets for a vehicle and the original radio box. The 920p is a decent radio for the price with a lot of features. But in this configuration you have to DISASSEMBLE THE HOUSING TO GET TO THE COMPUTER PROFRAMMING PORT ON THE SIDE OF THE RADIO. Also it is darn near impossible to reach the antenna connection on the radio unless you have fifth grader hands. I tried to research different packages and determine which would be best. But for $50 less you get all the radio parts mentioned above and a mobile antenna and programming cable. Shoot, for $125 less you can get a TYT 9800 quad band with a wouxun 30A power supply. I don't think this is a good buy and I feel like I made a mistake. Radio does seem to be working well (only have had it for a few days). The all in one housing would be convenient if I did not have to plug in different antennas, but my current situation requires me to. So I guess I will be investing in a short jumper cable (more $). I hope my observations help others in their decision making. I do think there should be some advertisement that this housing covers up the programming port on the radio. Nice radio and power supply. Looks good in the radio shack.